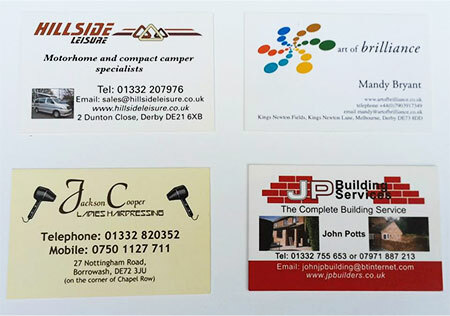 Business Printing, Personal Printing, Printing for Pubs & Clubs in Derby. 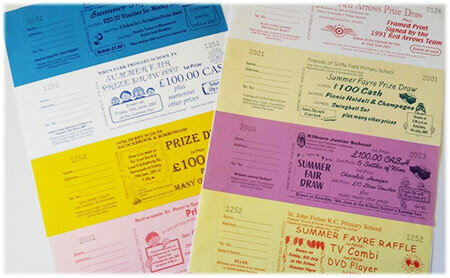 From business cards or flyers, to rubber stamps, to newsletters & magazines, or even prize draw and bingo tickets, we can help you. 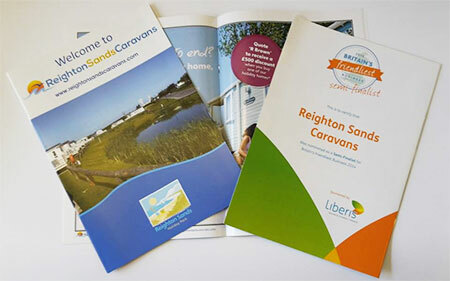 From the initial design, the printing, the packing and making sure your job is ready for collection or delivery we can handle your print requirements from beginning to end professionally and economically. What's more we're a long-established, small, family-run firm and have a local reputation for quality and service that is second to none. We have a continuing commitment to investing in the latest technologies and constantly endeavour to meet the ever higher expections of our customers. 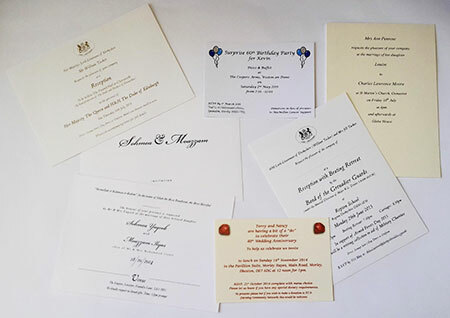 We feel that with our friendly and approachable manner, long-standing experience and capable machinery, almost any print request you have can be catered for. 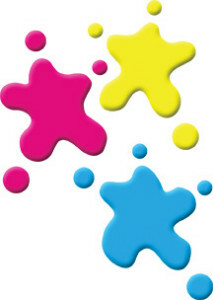 This website lists only some of the many items we are able to print, if your requirement is not mentioned please contact us for more information. 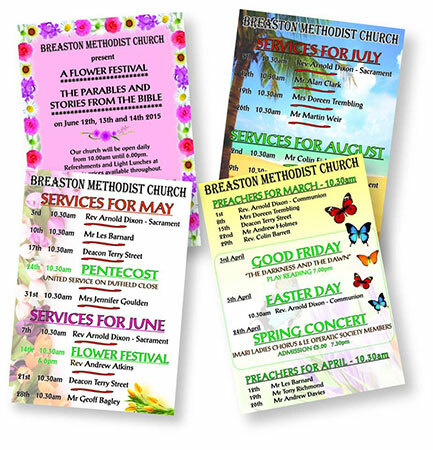 Printing 2 x double sided A4 sheets and corner stapling them. 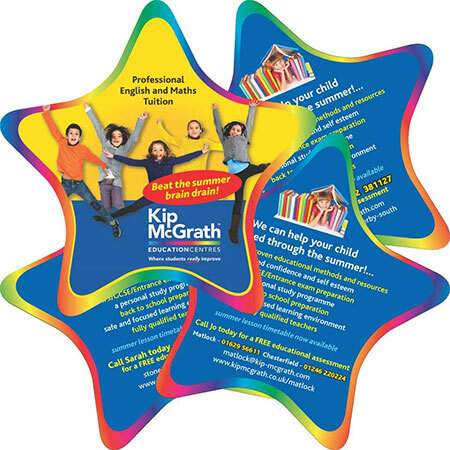 4page A5 orders of service printed from supplied pdf file on both sides of 300gsm stock. 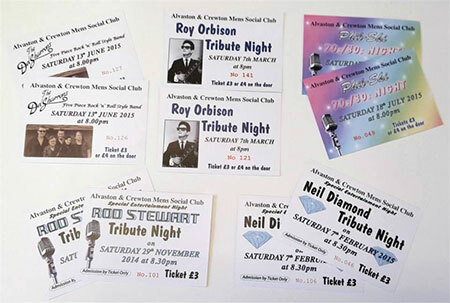 A6 4/0 presentation night tickets, sequentially numbered, printed on 350gsm uncoated stock.